Four-member legal panel headed by Katju will also interact with the Lodha panel on various contentious recommendations. Former Supreme Court judge Justice Markandey Katju was today appointed as the head of a four-member legal panel to help BCCI understand the implications of sweeping reforms suggested by the Justice Lodha Committee in its structure and functioning which on July 18 was made mandatory by the apex court. The decision was taken at an all powerful meeting of its working committee held at Mumbai. 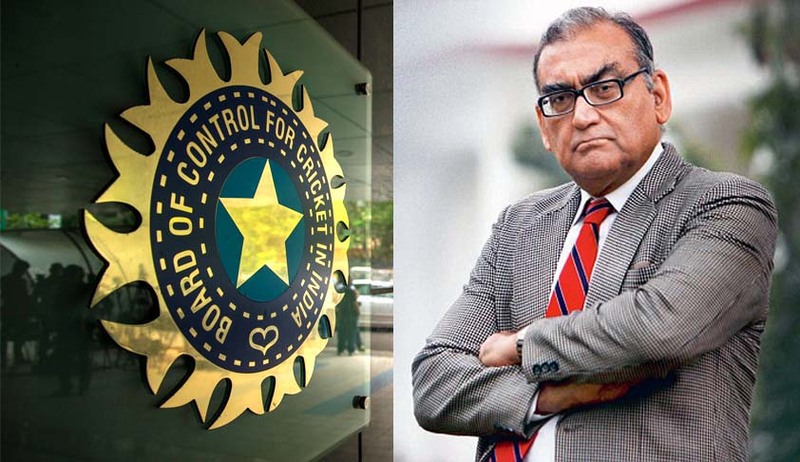 Justice Katju will be the single point interface for the Board to interact with the Justice Lodha Committee as well advise and guide the world's richest cricketing body. Apart from Katju, another legal luminary in the panel will be Abhinav Mukherjee. Justice Katju has been a judge in the Supreme Court from 2006 to 2011 apart from being the chairman of Press Council of India. He was also a former chief justice of Delhi High Court, Madras High Court and acting chief justice of Allahabad High Court. The BCCI apparently wanted a legal luminary who could help it understand the implications and also put forward its viewpoint in legal language to the esteemed panel. That is the reason, BCCI requested Justice Katju to head the panel. Post the Supreme Court verdict, Lodha Committee reforms have been made binding and the committee is expected to help BCCI in implementing the reforms in the next six months. On July 18, Chief Justice T S Thakur-led bench of the Supreme Court accepted Justice R M Lodha panel’s recommendations aimed at sweeping reforms in the functioning of the BCCI almost in toto which also meant that no minister and civil servant can become a member in the BCCI. On April 8, the the BCCI had again came under fire from Supreme Court for maintaining that any judicial interference in its functioning would compromise its autonomy with the Supreme Court sternly asking it why it was stonewalling attempts to include CAG within its governing council but was pleading for permitting politicians and government officials within its fold“You say a CAG nominee in BCCI is defiance of ICC rules as they will not accept a government nominee. But you want a government minister on board? You say Lodha panel report will affect your fundamental character and memberships. You mean to say you refuse to be reformed?” CJI asked BCCI’s lawyer K K Venugopal. On April 5, the court had pulled up the BCCI over fund allocations to the state association said the money disbursement pattern was akin to a “mutually beneficial society”The court also went to the extent of accusing the BCCI of “corrupting its members” by not seeking any explanation on how crores of rupees allotted to them were being used. A bench headed by justice T S Thakur expressed anger that the cash-rich sports body was resisting recommendations to reform and make its working transparent and visible.The apex court had also expressed its displeasure over BCCI's stand that being a private and autonomous body, it cannot accommodate a nominee of CAG in it as suggested by the Justice R M Lodha Panel on the ground that it would be derecognised from the International Cricket Council (ICC).